The home of your dreams is closer than you think with Rocky Mountain Tile & Stone. Step into your vision, and lay a solid foundation with custom tile, hardwood, carpet, luxury vinyl tile, and more. When renovating an existing home, updating a bathroom or building a new house, start from the ground and work up by installing quality custom floors and tile. 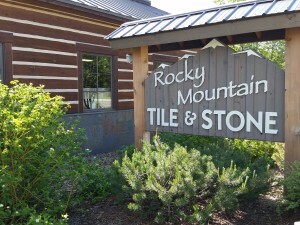 Rocky Mountain Tile & Stone has been family-owned in Montana since 2001. Our team’s knowledge and expertise can help you select the right flooring for your home, creating the perfect setting for your lifestyle. Laying a solid foundation is the easiest way to upgrade an existing room or add a unique twist to a new floor. From tile installation to classic carpets, the flooring from Rocky Mountain Tile & Store is sure to elevate your home or business through high-quality products, honest customer service and competitive prices. With hundreds of exclusive selections, our store is sure to have exactly what you need to create a beautiful space. In addition to flooring, our team has extensive expertise with tiles, be it for the backsplash of a kitchen or the floors and walls of a bathroom. Our showroom has hundreds of options, so you can choose the right tile that fits your home, business or building. From glass to porcelain, and everything in between, our quality tiles stand the test of time and create a gorgeous atmosphere in your bathroom or kitchen. Our goal is to exemplify quality customer service, ensuring you leave satisfied every time. isn’t only the price, it’s the quality.